Ariane Kirtley, Amman Imman's founder and director, has been in the United States since late August. She's been working with the Amman Imman team here in America to expand fundraising operations. She's also been gathering support by meeting with various people and organizations in order to bring attention to the crucial environmental and human crises facing the Azawak. Her main goals for this visit have been to establish the Wells of Love program here in America and to make valuable connections in order to raise funds. Her objective is to construct the next borehole in the village of Kijigari as soon as possible. The dry season has already begun in the Azawak. The marshes will soon dry up and the people of Kijigari are waiting for water. Ariane met actress and humanitarian activist Mia Farrow at the Leon H. Sullivan Honors held in August at the Kennedy Center. Mia expressed concern about the children and families living in the Azawak who are dying of thirst without access to water. Today, Mia wrote about Ariane on her blog, http://www.miafarrow.org/. Air America Radio has become Amman Imman's newest sponsors. 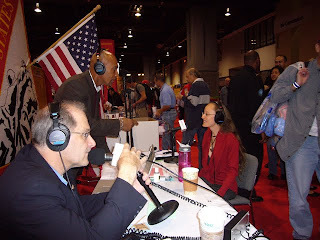 Jack Rice, journalist and talk show host, interviewed Ariane last week. The interview was aired on his show and posted on YouTube and various other sites. Read more about this heartfelt exchange and watch the videos on the Amman Imman blog. 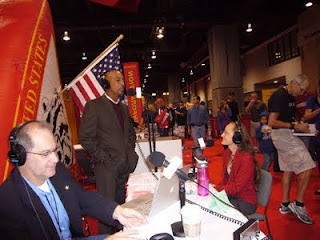 Montel Williams, veteran tv personality and Air America talk show host, spoke with Ariane on his show yesterday which took place at the Health and Fitness Expo for the Marine Core Marathon. Montel said, "What do we have to do to make people in America understand, that no matter how bad it is for us, there are still people that are worse and we still need to do our part because to whom much is given much is expected." Montel has offered to continue his support.